Alks Sadat’s multi-award winning short film Half Value Life (در دهکده ای که نافصالغقلم می نامن) will close LFFF 2013’s INSPIRING WOMEN session which takes place on Wednesday 27 November from 6.30pm. As Alka will not be able to join us for the session, we got in touch with her to ask some questions about her 2009 film and what is coming up for her in the future. How did you get into the film industry / interested in film? It was a dream to speak about women’s issues, to reflect them in order to work on women’s rights. I was 16 or 17 when I started working and wanted to be a journalist. But it was a very dark time for Afghan people and especially for Afghan women because of the Taliban regime. I was still in school when I started working, but I think when I did that was the time when I started raising my voice. How did you make Half Value Life? I made the film between 2008 and 2009. At that point in time making documentary films was difficult, especially for women. 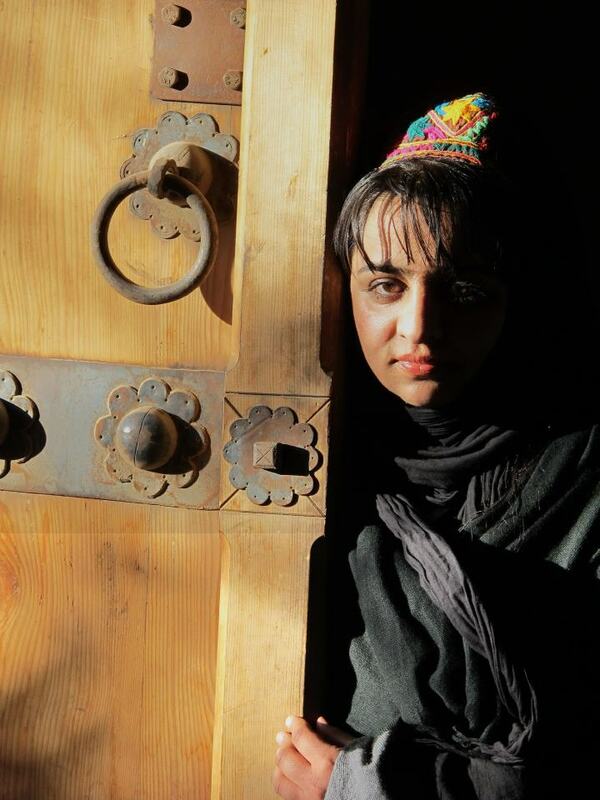 There weren’t many people working in film in Herat city, so I was completely on my own shooting the film. I did the camera, the sound … I spent a total of eight months shooting the film. Maria Bashir was a lot of help, but I was also looking for other women to let me film them which was difficult because a lot of women did not want to be filmed. My sister Roya Sadat produced the film and I am pleased that Half Value Life is not just a film about women but that the director and producer are women too. Why did you choose this subject? What inspired you? Before making Half Value Life I made another film about women who engaged in self-immolation. Whilst making that film I met Maria Bashir and got the idea to make a film about her. At the time there weren’t any other women working in the attorney general’s office in Herat City. As soon as I met Maria I knew I desired to make a film about her. 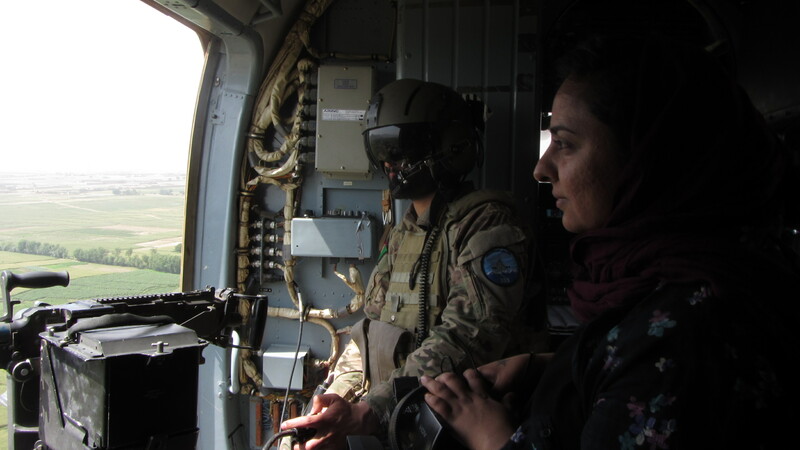 I was tired of only showing poor women in Afghanistan and making a film about Maria was my chance to show a powerful Afghan woman to the world. 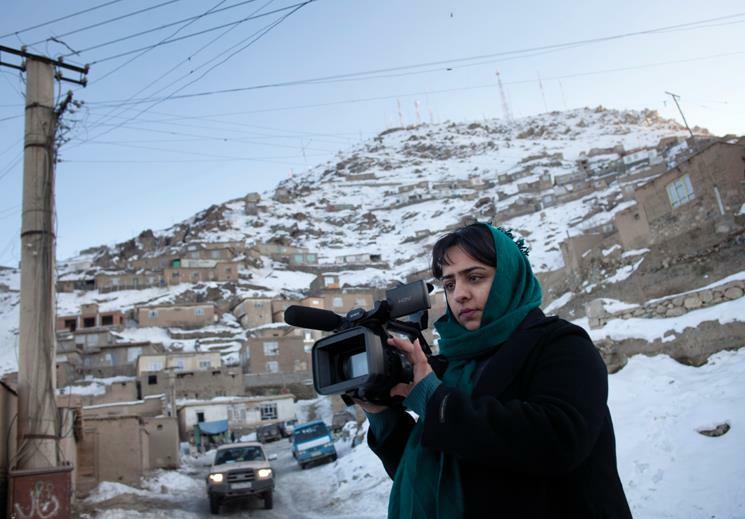 After a few months of filming with Maria she got the good news that she had been promoted to attorney general, which was very good for the film, as well as meaning she became the very first female attorney general in Afghanistan. What were the challenges you met as a director when making and producing the film? 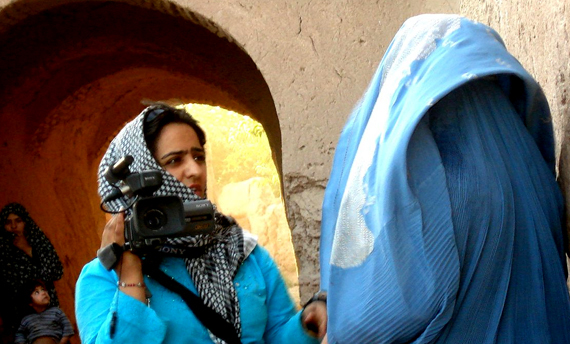 To make a documentary in Afghanistan is very hard, particularly for a woman. A lot of the time we have to go to dangerous places to shoot the films and we put our lives in danger. Most of my subject was about women’s rights so most people don’t respect it. There is a lot of violence against people working in the media. I had already done some filming in Bakhshan city and wanted to do some more filming in a nearby village in the mountains. It was only a five minute walk, but there was a man who told me that I would be killed if I went there because I was not wearing a burqa. He suggested I cover my face as the people in the village felt it is not good for women not to cover their faces. When I asked him how I was meant to do my work with my face covered he simply said that it would be much better if I stopped working and stayed at home. Often it is very difficult to find the money for our films. Most of the time any money we have is spent on making a film, but then we find we do not get a chance to screen them on Afghan TV because contrary to other countries where TV stations pay to screen works Afghan TV stations ask for money. My sister Roya has more experience producing films than me, as she has produced most of my films. In my last project, however, I was the producer as well as the director. It was very difficult, but I am very happy to have done it successfully. I am glad there is a time now in Afghanistan where we can work and speak about difficult subjects. I hope we will get even more freedom in the future and will be able to make more films. I am making a feature documentary film about Afghan commandos. It is a history of their lives, how they live together and why they are fighting. But it is also about what they think about the future of Afghanistan, their personal lives, and what their ideas are for 2014 … we will finish the editing before 2014! It is a good experience for me to be with people in the army and not just speak about fighting. We talk about love and things that others do not know about them. The Hours, which was directed by Stephen Daldry. I love Nicole Kidman – she is the best actress for me.